Following a seven-year civil war, the Democratic Republic of the Congo (DRC) is on a path toward recovery. A constitutional referendum was successfully implemented; free, fair, and transparent elections have been held; and those elections produced a president, a national assembly, and provincial assemblies. 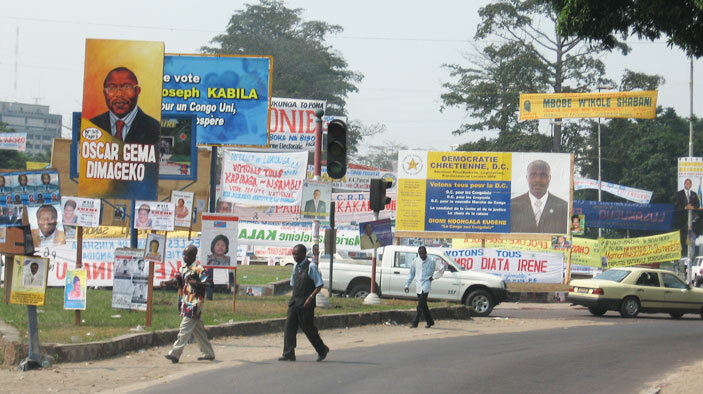 Working at national and provincial levels, BRDG-DRC provided long- and short-term consulting and technical assistance, training services, applied research, workshops, conference organization and hosting, logistical support, and commodities to advance the DRC’s political transition. BRDG-DRC also awarded and administered grants to nongovernmental organizations (NGOs) supporting the peace and transition process and promoting democratic governance through institutional development and civic engagement. Help draft legislation and amendments and develop an independent magistrature. Train national parliamentary staff, provincial assembly members, and NGOs on public hearings. Provide technical, logistical, and material support to the Political, Administrative and Justice Committee of the National Assembly, Permanent Commission for the Reform of Congolese Law, and Economic and Financial Committee of the National Assemby. Fund media efforts to responsibly analyze and publicize the new government’s reform agenda. Facilitate public budget hearings to improve transparency and accountability in national and local governments. Assist NGOs and NGO networks with strategic planning. Support democracy resource centers to foster engagement in political discourse, access to information, and debate of new laws and reforms. Provide technical assistance to Bandundu, Katanga, and North Kivu provinces in community development, local government capacity building, and the engagement of civil society organizations, facilitating decentralization in these provinces. Support the Amani Peace Process in Eastern DRC through technical assistance to the National Coordinating Unit, as well as material and logistical support to the Provincial Development Committees and Kimoka Peace Camp. Worked in collaboration with the Justice Ministry to conduct an audit of the Ministry and associated institutions, and to implement justice reform; and built the capacity of justice sector officials in four target provinces. Provided technical and material assistance to the Amani Peace Process and the Independent Electoral Commission on an awareness building campaign that explained the new voter registry system to voters in Kinshasa.